The 2012 Innovation Award of the biotechnology regions in Germany was presented to Prof. Ulrich Schraermeyer on 9 May 2012 in Frankfurt am Main. The Tübingen-based researcher received the award in recognition of his idea to use an active substance to treat the dry form of age-related macular degeneration (AMD). This impedes a patient's ability to see and can ultimately lead to complete blindness. 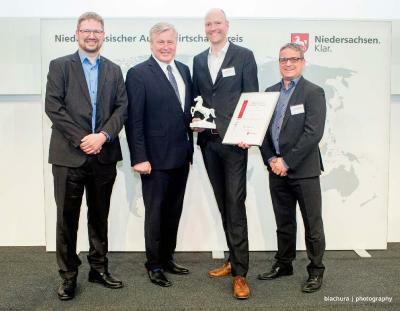 In the interest of those affected by the disease, Prof. Schraermeyer founded Katairo GmbH to enable him to patent and market his findings as quickly as possible. In Germany alone, around 4.5 million people suffer from the dry form of age-related macular degeneration, the most common cause of blindness in the industrialised world. Up to now, dry AMD has been considered untreatable. However, Prof. Ulrich Schraermeyer, head of the Experimental Vitreoretinal Surgery section at the University Eye Clinic Tübingen, has published groundbreaking research results that could enable successful treatment in a few years' time. Prof. Schraermeyer is an expert in the pathology of the retinal pigment epithelium, the layer of cells in the eye that is affected by the pathological changes associated with AMD. Decades of toxic lipofuscin consisting of metabolites that cannot be excreted by the cells can accumulate in this layer, causing the photoreceptors in the retina to die. Prof. Schraermeyer has now discovered that a specific active substance can help break down most of the lipofuscin, thus enabling it to be excreted. It is not only scientists who are excited by this discovery. Shortly after the findings were published in a medical journal, the first investors from the United States had already shown interest. Prof. Schraermeyer recognises the significance of his findings. He therefore founded Katairo GmbH, based in Kusterdingen near Tübingen, to enable him to patent and market the active substance. "Potential investors need a company to invest in", explains Prof. Schraermeyer. The fact that the active substance has already been developed to clinical phase II by a pharmaceutical company - for a completely different application - also makes the discovery interesting for investors. This means that the active substance stands an excellent chance of receiving fast approval for clinical phase I treatment of dry AMD. "Because the medical need is great and there has been no treatment whatsoever to date, the likelihood of financing through venture capital or the pharmaceutical industry is very high", says Prof. Schraermeyer. "I estimate that around five million euros would be sufficient to carry out a phase I study for the treatment of dry AMD." Prof. Schraermeyer received the Innovation Award of the biotechnology regions in Germany on 9 May 2012 in Frankfurt am Main. The award is in recognition of his idea, which has resulted in the discovery of a treatment for the causes of dry AMD. The panel of experts all agreed that this project from the STERN BioRegion is a prime example of excellent basic research coupled with economic feasibility. Katairo GmbH was founded by Prof. Ulrich Schraermeyer and three other partners in 2011. The company, based in Kusterdingen near Tübingen, enables the patenting and marketing of THPE, an active substance for the effective treatment of the dry form of age-related macular degeneration (AMD). For ten years, BioRegio STERN Management GmbH has been a skill-sharing network in the cities of Stuttgart, Tübingen, Esslingen, and Reutlingen and the Neckar-Alb and Stuttgart regions in the Baden-Württemberg area of Germany, providing a source of help and advice for founders of new businesses, entrepreneurs and researchers from the biotechnology sector. 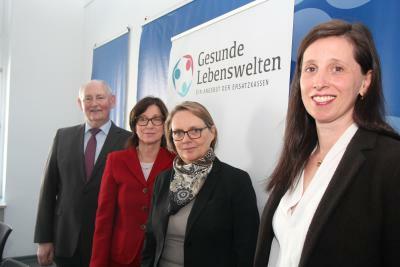 BioRegio STERN Management GmbH represents their interests in dealings with politicians, the media and associations. It offers business promotion and marketing services and provides advice on grant applications and corporate financing. 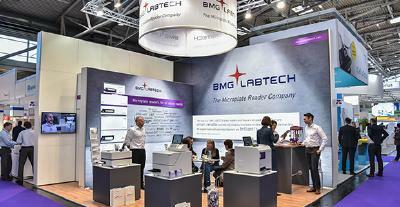 Regenerative medicine, medical technology and the automation of biotechnology are key focal points. 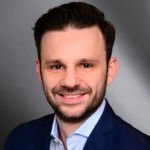 The Managing Director, Dr. Klaus Eichenberg, is a molecular and cell biologist and investment analyst.